1944 | Parks Underdown founds Hickory Springs in the Hickory community of Brookford. The company produces coiled seating springs, edge wire and Marshall coil springs for the bedding and furniture industry. 1957 | Hickory Springs begins producing sinuous wire, followed by latex and polyurethane foam. 1960 | Hickory Springs starts pouring polyurethane foam. In the 10 years that follow, the company expands its polyurethane foam footprint with pouring and fabrication facilities. 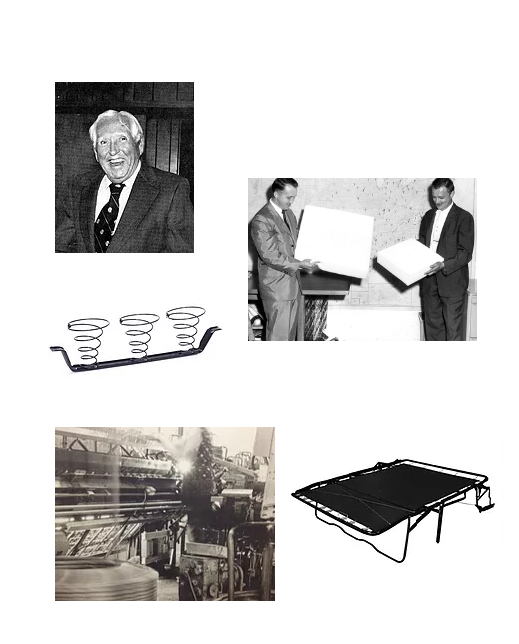 1970 | Hickory Springs sets up an innerspring mattress plant, in mountainous Micaville, NC, separate from its furniture spring plants. 1974 | Hickory Springs moves into metal tubing and stamping operations with the introduction of convertible sleep mechanisms for the home furnishings industry. 1978 | Hickory Springs begins wire-drawing operations, supplying products to its spring operations and enhancing the company’s vertical integration in the process. 1982 | Hickory Springs purchases the Spiller Spring Company and expands its footprint in the bedding industry. 1983 | Hickory Springs takes another step toward vertical integration by entering into a joint venture to run a plastics extrusion facility, Plastics Technology, Inc., that supports the packaging industry. 1986 | Hickory Springs expands further into stamping operations with the introduction of an incliner mechanism for the furniture industry. 1988 | Hickory Springs adds to its innerspring production capacity with the purchase of the Holland Wire Company. 1996 | Hickory Springs begins a multi-year run of successful innovation, including the design of a folding metal step for recreational vehicles. 2005 | Hickory Springs introduces Preserve®, the world’s first bio-based foam. Its recipe utilizes up to 20 percent of a non-traditional, renewable, bio-based raw material derived from soybean oil. 2007 | Hickory Springs acquires Triad-Fabco, a manufacturer of molded rebond foam cushioning material for the furniture, school bus, and golf cart industries. 2008 | Hickory Springs acquires JSI Corporation, a supplier of OEM and aftermarket products to the RV industry. 2012 | Hickory Springs acquires The C.E. 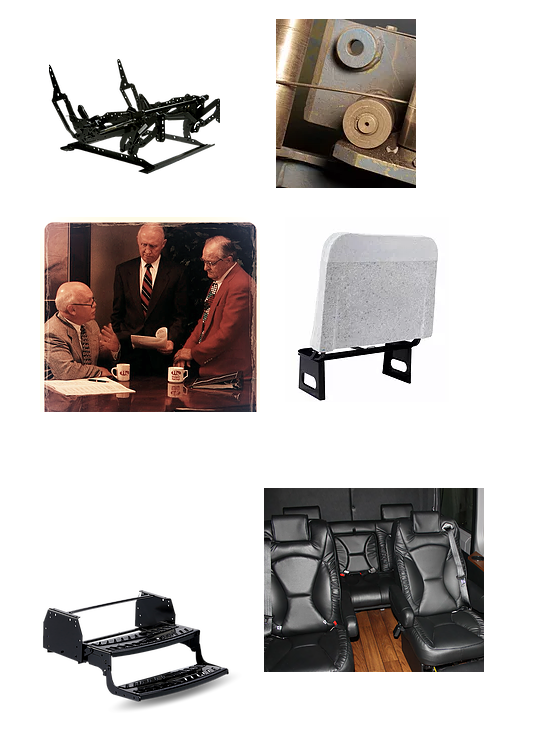 White Co., a manufacturer of quality seating products for the commercial/transit and school bus markets. This acquisition enables Hickory Springs to provide transportation customers with a complete seating solution. 2013 | Hickory Springs announces a new name and brand – HSM – intended to assist the company's efforts to grow its Transportation Solutions and Diversified Solutions business units. 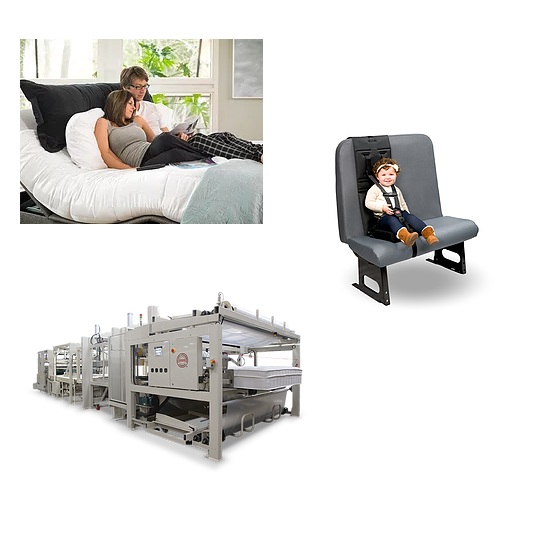 2014 | HSM celebrates its 70th anniversary with the opening of a new Corporate Foam Technology facility and introduces Transitional™ Sleep System adjustable beds, an example of the company’s commitment to innovation and delivering integrated solutions to the marketplace. 2016 | HSM sells five foam-pouring locations in NC, GA, CA and AR to Arsenal Capital Partners. The equity company uses the former HSM facilities as the foundation for the larger foam/bedding producer Elite Comfort Solutions. HSM purchases Atlanta Attachment and its subsidiaries.